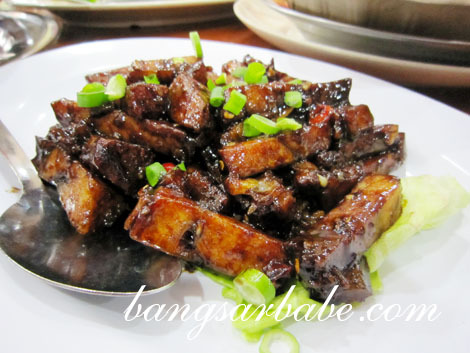 I’ve never eaten Kwang Si cuisine before, and was told the dishes are simple and often braised or steamed. 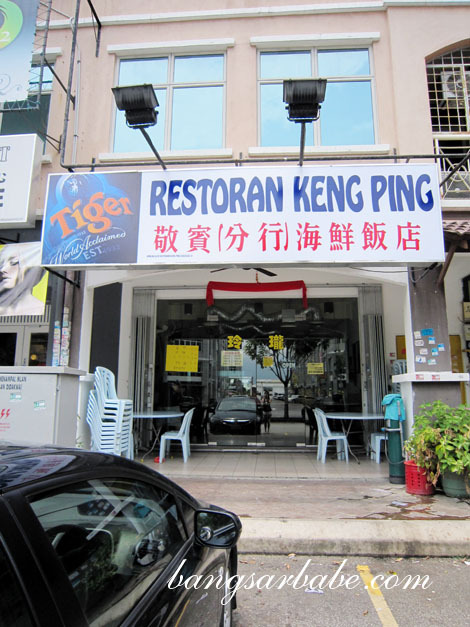 Restoran Keng Ping in Bandar Puteri Puchong offers such cuisine at an affordable price. The outlet is brightly lit – almost stark – save for the printed food menu on the wall. 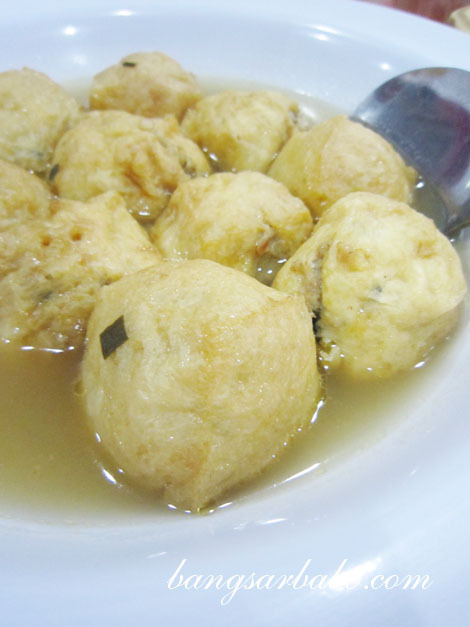 “Sai Tou” Fish Balls (RM0.70 per piece) tasted bland on their own, but quite addictive when dipped with the Lenggong Cili Padi Sauce. Take more than you should and your mouth (and for some, behind) will be on fire. 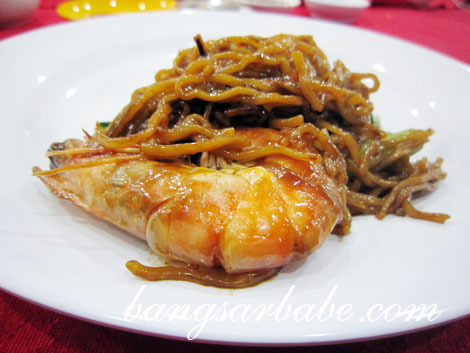 I wasn’t too keen on the Stir-fried Siew Yuk (RM12) not because it wasn’t good, but because I like my siew yuk crispy. 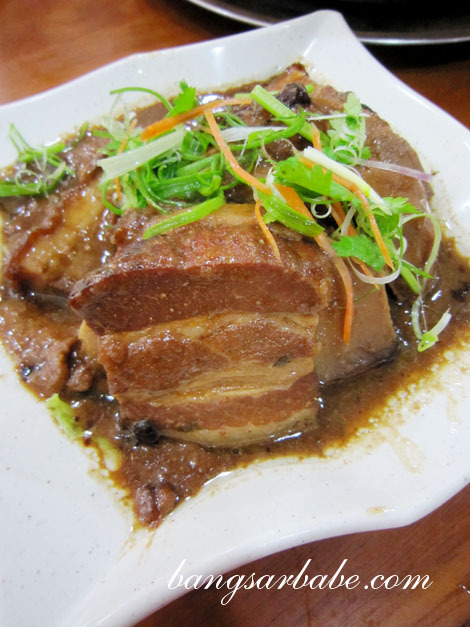 The Pork Belly with Yam (RM16) was braised till tender, with a creamy texture from the fat. Who said the more expensive the fish, the better? Even catfish can taste good, if prepared properly. 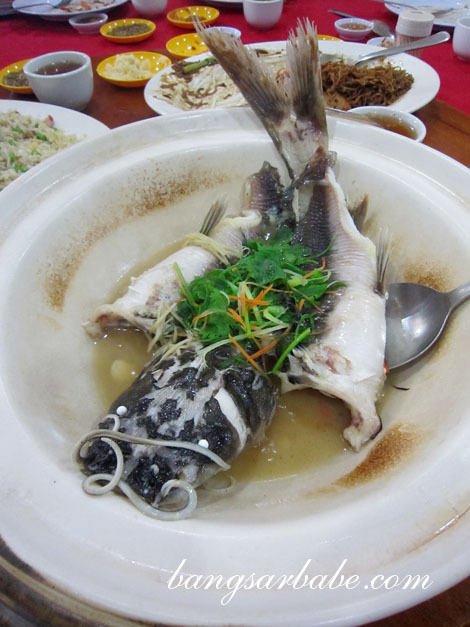 Keng Ping’s Claypot Catfish (RM27) had no muddy smell or taste, thanks to the use of ginger, while the flesh was sweet and firm. 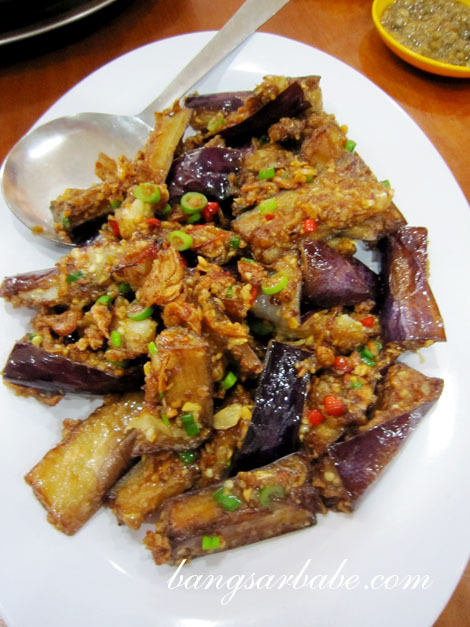 The Deep-fried Eggplant (RM15) was addictive. 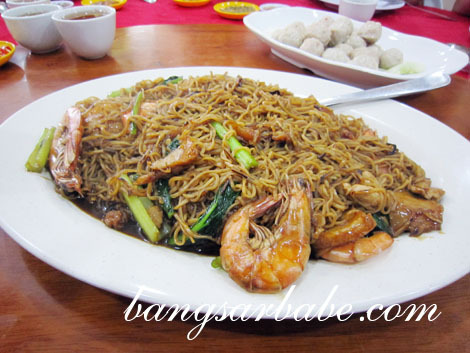 It came tossed with plenty of fried garlic bits and cili padi for extra ‘oomph’. 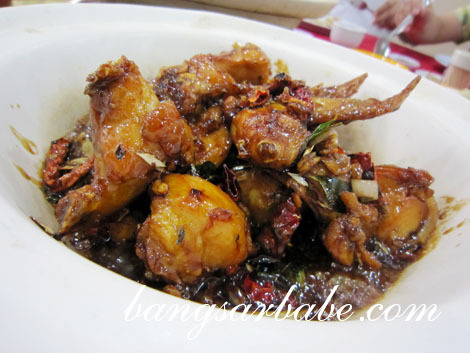 Claypot Kam Heong Chicken (RM15) however, lacked flavour – it wasn’t robust or spicy enough. Better, was the Steamed Chicken (RM25), served with ginger paste. The meat was firm yet tender, and if you’re lucky to get the chicken thigh, you will find a layer of tasty fat beneath the flesh. The Homemade Tofu (RM10) came with plenty of minced pork and gravy. It was best enjoyed with white rice. We had two types of vegetables that afternoon – Four Heavenly Kings (RM10) and Stir-fried Lotus Roots with Mushroom (RM12). 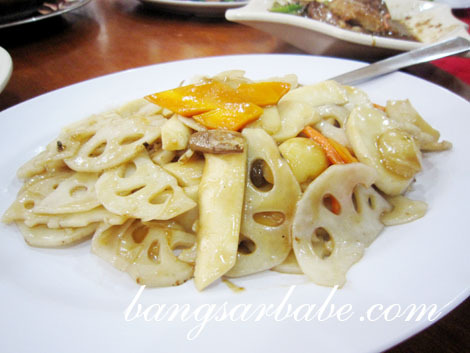 The former was tossed with belacan and chilli, while the lotus roots were stir-fried with garlic and light seasoning. 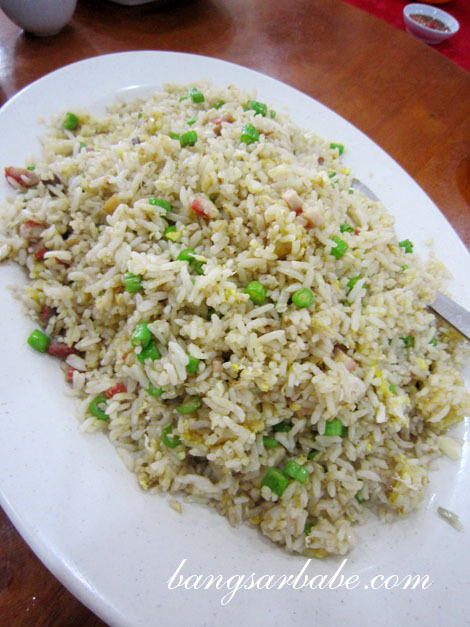 For carbs, we tucked into some Fried Rice (RM12) and Braised Egg Noodle (RM12). The latter was such a hit among us that we ordered another plate, and subsequently, another large plate to share. Being greedy didn’t reward us, for it’s best to order a smaller plate. It’s tastier that way; the larger version lacked umami and gravy. The fried rice was bland in comparison to the noodles. 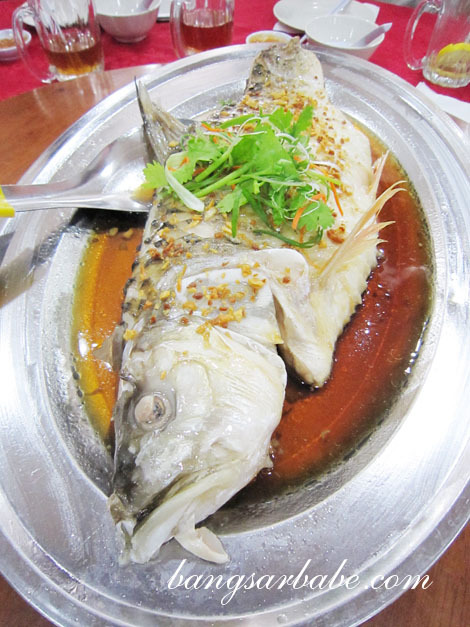 On our second visit the following week, we tried the steamed river fish which had plenty of bones. While some people can effortlessly pull out fish bones from their mouth (like my mum), I cannot do so without jamming a finger around my gums. I gave up eating, so rif cleared my share. I decided to go ahead with a bowl of white rice when the wild boar curry was served. How can one not eat rice when there’s wild boar curry? There’s no thrill in that. 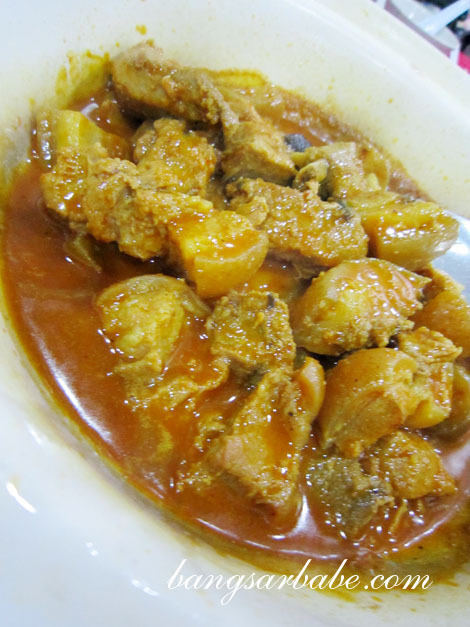 The curry was spicy, robustly flavoured and thickened with santan, while the wild boar pieces were adequately tender. By that, I meant it still required a bit of chewing. 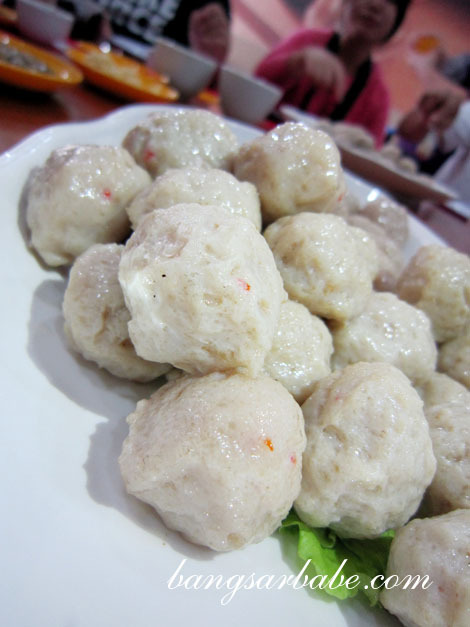 The stuffed tofu puffs was similar to the one I had in Bentong/Bukit Tinggi. I liked it because it was easy to eat and I know chances of me choking to death on a tofu puff are slight compared to fish bones. Definitely something to order if you have kids with you. 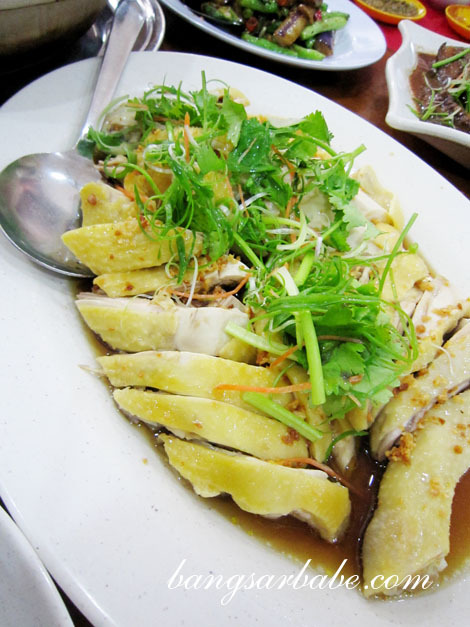 “Jiong Jeng” Fish Belly was soft, smooth and fatty, accented by the piquant sauce. rif enjoyed this best. I didn’t like the Claypot Wild Boar because the meat was tough and gamey. Unlike the curried version, the meat gave me a jaw workout and I never enjoy anything that requires more than five chews. Chewing gum aside. 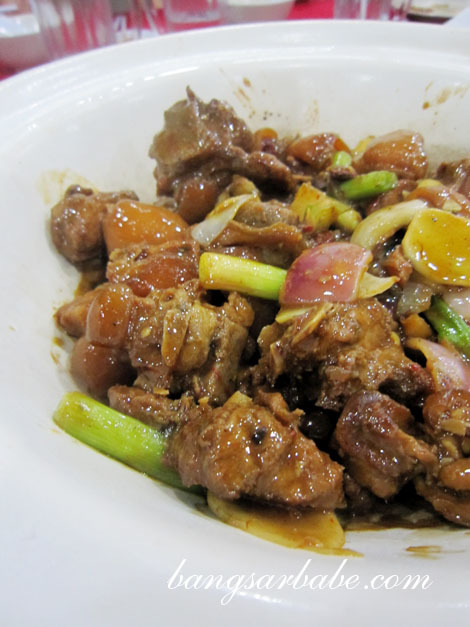 There was also another wild boar dish, cooked in some sort of sweet-sour sauce. I found the gravy one-dimensional in taste. 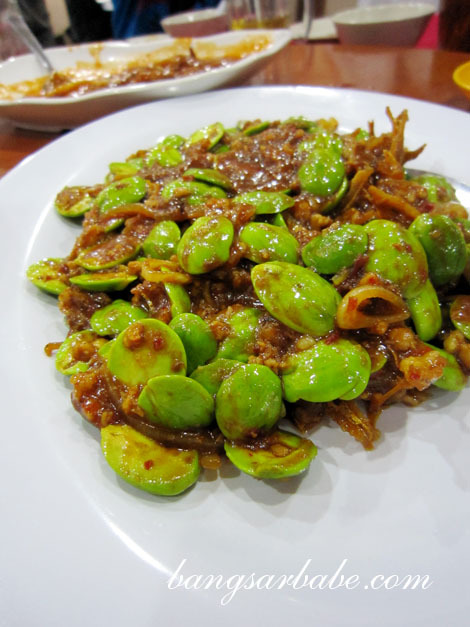 Fans of stinky beans will love the Sambal Petai with Ikan Bilis. I skipped this because I was due for an appointment later that afternoon and didn’t want to burp petai essence (or god forbid, fart) near the unsuspecting person. 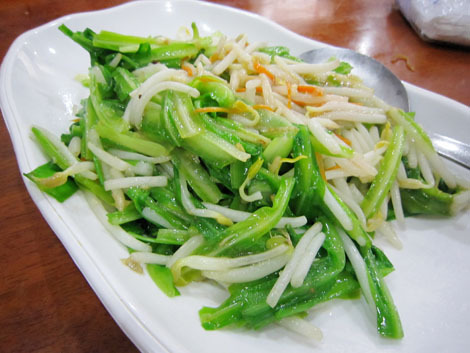 The vegetable that looked like oversized beansprouts was brought over from the chef’s village, and stir-fried with pork slices and tofu puffs. The green dish above is a type of ‘kuchai’, if I’m not mistaken. I liked this, but found the former slightly raw-tasting. 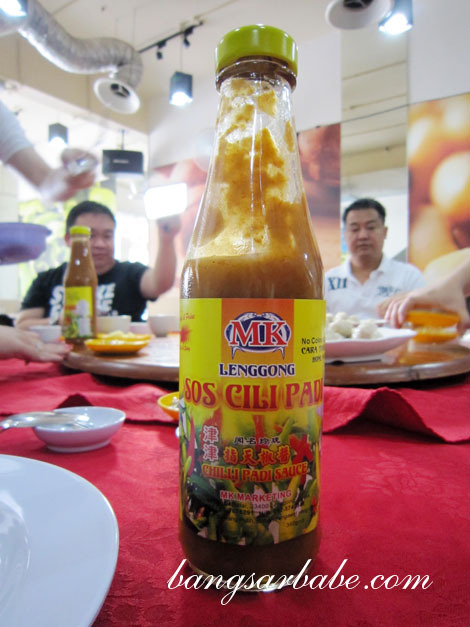 My two visits to Restoran Keng Ping allowed me to sample a variety of Kwang Si dishes – some hits and some misses. Of the lot, I enjoyed the braised egg noodles, homemade tofu, wild boar curry and fish belly best. If you’re around the area, give it a try and let me know what you think. 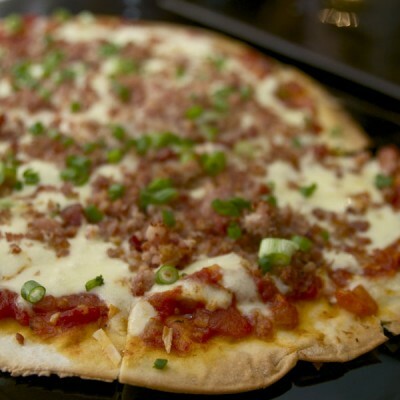 Verdict: Order wisely and you won’t be disappointed. sweet & sour wild boar? I don’t think I would say no to the dishes which were your least fav. It’s been a long time I haven’t had any of those dishes so, more portions for me please! I will send you the kari kambing pics later>>>[email protected] rite? Hai ya, you know how hard it is to get fish from Asia for me?Lol,so definetly I won’t mind eating fish with plenty of bones. Get sick of eating chicken and beef all the time, my neighbour fishes salmon and trout, and he gives me some, but since it’s from the wild, the muddy taste over powers the sauce. And vegetables here…don’t get me started,lol. Any phone number for this restaurant? Thks. Went there last night. The steam chicken and deep fried eggplant are nice! Thks for the recommendation. The owner who is a lady asked me how i know about this place and i told her i saw your blog! Then i gave her the website of your blog and she took it happily…..